Bring a menagerie of friendly forest creatures into your home. 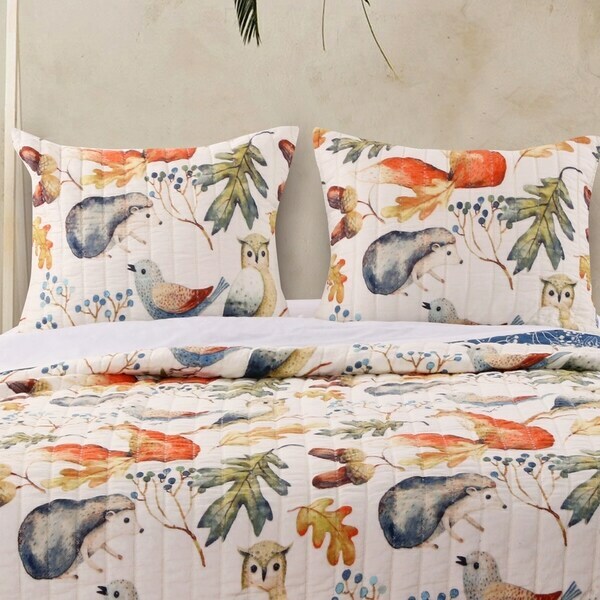 With owls, foxes, hedgehogs and songbirds, the Willow sham set celebrates a gentle forest kingdom. Reverses to a budding willow print on lake blue. 100% polyester microfiber shell with cotton rich fill. Zipper closure makes each sham reversible and holds your pillows in place. Machine quilted with fabric-bound edges for durability. Dimensions: Standard sham measures 20 inches x 26 inches. King sham measures 20 inches x 36 inches. Double down on the look with extra pillow shams. Machine Wash.Imported.